It is finally done! The steeple project is complete and a bright and shiny new cross adorns the steeple of our beloved church. Some final work remains to improve the illumination of the steeple. Thanks to to all who made this possible with their donations and hard work. 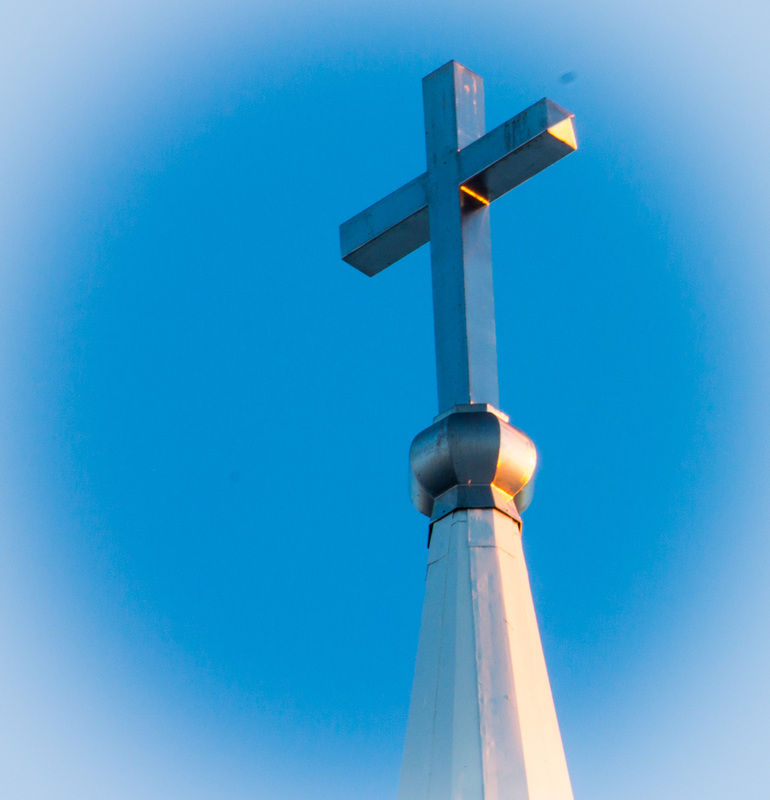 Sunday April 6th there was a brief Steeple Dedication ceremony in the courtyard between services at about 10am. Pastor Krentz-Wee was joined by a crowd of congregation members from the first and second service who rejoiced in the restoration of this important symbol of our Lutheran faith.